You are here: Home / News / 10 New Chrome Features You Should Be Excited About. 10 New Chrome Features You Should Be Excited About. (ThyBlackMan.com) With the new Google Chrome features, you can navigate the web with more efficiency. You probably know that Chrome is the most popular browser with more than a 60 percent share in internet browser market. Now when Chrome 68 update is here, more interesting Chrome features are coming soon. Here’s a list of 10 new Google Chrome features you should be excited about. You may have noticed that a “not secure” sign used to appear on the Chrome address bar for “HTTP” websites. Now Chrome has replaced the sign with a clear message. On Chrome 68, if you visit a website that doesn’t use SSL certificates, you will see this message on the left side of the domain name or URL. This new Google Chrome feature is designed to inform users that the website they are visiting does not use encryption. It means that the website doesn’t use SSL certificate, but it doesn’t mean that a website marked “not secure” on Chrome is unsafe or hacked. The unavailability of “https” means if you are sharing credit card or other personal information using such websites, it may not be safe due to lack of encryption. Google has rolled out a new update and soon you will be able to see all your Chrome notifications in the Windows 10’s native action center. The best thing is, the Chrome notifications will follow the other action center related settings. It means during those quiet hours, you can rest assured that your control center settings will remain the same and your laptop won’t show notifications at unexpected times. Google Chrome Custom Tabs allow room for customizations. Google is planning to roll out an update for Chrome on Android that lets users customize incognito tabs. The options include theming of the title bar and special icons in the browser menu. The latest information about the update suggests that the Chrome Custom Tabs will open up in Incognito Mode. This update will be available when the new code will be merged. 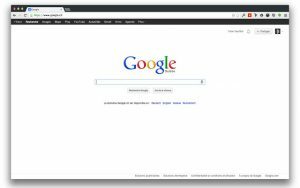 Google rules the search space with Google Search and Chrome browser. Even when Google Chrome is one of the best web browsers, users are still facing many problems. Google is finally making some major changes to how Chrome behaves. The company has confirmed that the browser’s performance will be increased by stopping background tab activities. After 5 minutes of inactivity, Chrome tabs will be stopped that opening websites using Chrome will reduce data and memory consumption. Google Chrome will soon start notifying users about data-heavy web pages. If a website page loads more than 1MB of data, Chrome will inform users and if they want, they can stop further loading of data. This new Chrome feature will be available on Windows, Mac, Linux, Chrome OS, and Android. When it launches, it will certainly help Chrome users who don’t notice the amount of data their favorite websites consume. A new Chrome feature called Continued Reading allows Chrome OS users to start reading where they left off Chrome on Android devices. Here’s how this ‘continued reading’ feature works. If you are reading something on your Android device and you switch to Chrome OS, you can start exactly from where you left off. On Chrome OS, the new feature will be available in the launcher area. Anyone on Chrome OS can relaunch web pages using web history, but with this new feature, you can not only open the same web page, you can start reading from the exact part of the page as well. If you haven’t updated your Chrome browser, do it now because Chrome 68 brings a new feature that enables pin codes for signing into your Google account. This feature removes the hassle of entering passwords every time a user wants to log in to his account. For example, you want to log in to your Gmail account. Earlier, you had to enter your username and password to access the account. Now with the new feature, you can enable pin code authentication to make the process quicker. Some new Google Chrome features include notch support for devices that follow the current display trend and feature a display notch. If the latest reports are something to go by, Google’s next Pixel phone will sport a display notch similar to that of the iPhone X. These new features are expected to arrive with Chrome 69 which is already in the testing phase. Among all the new Chrome features, there’s one interesting addition coming to the Android Go phones. If you don’t know, Android Oreo Go Edition runs on low-end hardware and these devices support optimized version of Google apps but Chrome is not among those apps. After the new Chrome update, Android Go powered devices will be able to play media directly through Chrome. Google is also planning to add a feature that allows Chrome users to use child accounts at first sign-ins. There will be some changes in zoom settings and resolution support for the camera app. With the new Chrome features in the upcoming browser version, Google is also adding support for websites that don’t have an appropriate layout. Google will make some CSS changes similar to the Apple Safari to make websites look better on Chrome.